It’s no wonder that we refer to flags as The Greeting Card of Your Home. 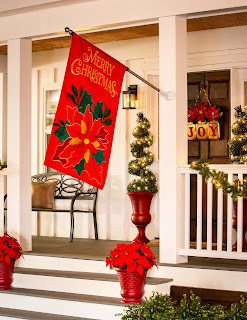 They can decorate homes, yards, porches, patios, and more. 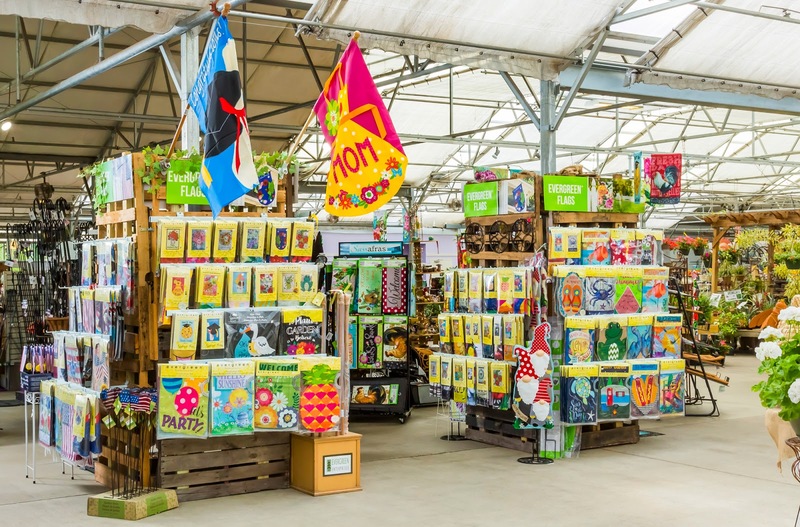 Evergreen offers wholesale decorative flags in both house size and garden size, across a wide variety of materials, techniques, and themes to help retailers stock a range of options. Our goal is to help every shopper find what speaks to them and drive both multiple and impulse purchases for retailers. 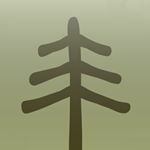 Flags were the starting point for Evergreen back in 1993. They continue to grow in popularity among consumers all over North America, and they’re an effective, easy investment for independent store owners. Decorative outdoor flags are an easy way for people to personalize the outside of their homes. They’re probably the closest thing to a consumable that the garden and gift industry has. 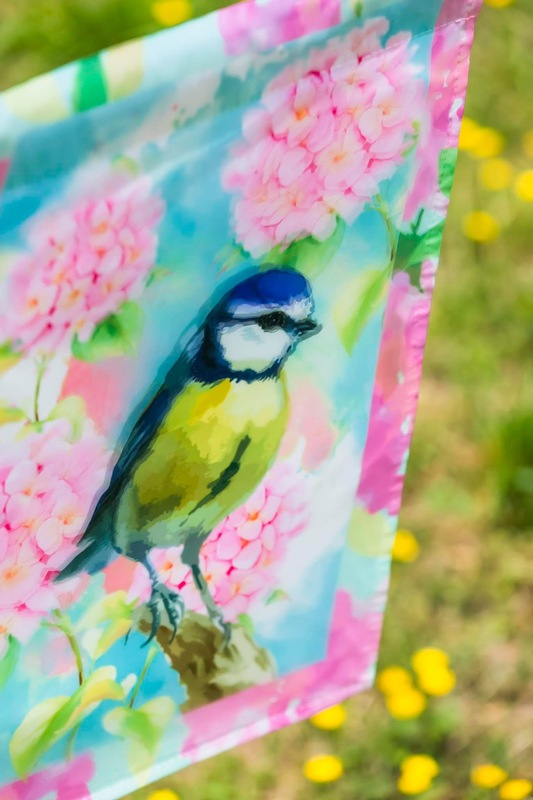 While our flags are durable enough to last for a long time, the different seasons throughout the year—along with the way people love to change up their decor—create opportunities for retailers to offer their shoppers something new whenever they want it. We keep hearing success stories from our retailers about how well our flags are turning, and we keep working each season to introduce new winners that will help keep the momentum going. With all the seasonal designs we offer, flags are truly a year-round business. 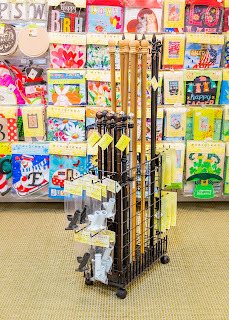 We offer new designs every quarter, and our flags also take advantage of new materials and technologies, plus on-trend colors and designs, that enhance the traditional top sellers that we’re known for. We’ve also seen how flag hardware tends promote repeat purchases. Once a consumer buys a flag pole or garden stand, they will typically return to that store multiple times throughout the year—we estimate up to 7 times annually—to pick out a new flag. Consumers tend to revisit locations where they feel comfortable and where their needs are met. As shoppers continue return to your store for their next flag, it will help to turn them into loyal shoppers. And flag loyalty is contagious! 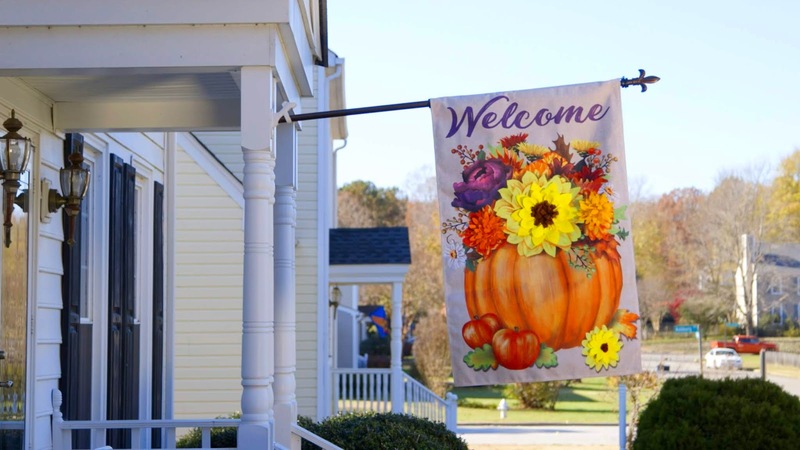 As your customers display flags outside their homes, your business will grow through word of mouth, as neighbors of flag owners want to know where they can get their own flags. Consumers today want an easy, quick shopping experience, and the best flag retailers help their shoppers by creating a clear home for flags in the store. They also make sure their product is properly displayed and well-represented throughout the year. Our proven Flag Shop approach is an ideal merchandising solution for most retailers. It will help you build a space-efficient, clearly-visible, easily-maintained presentation of flags in as little as 4 feet of horizontal feet of wall space. 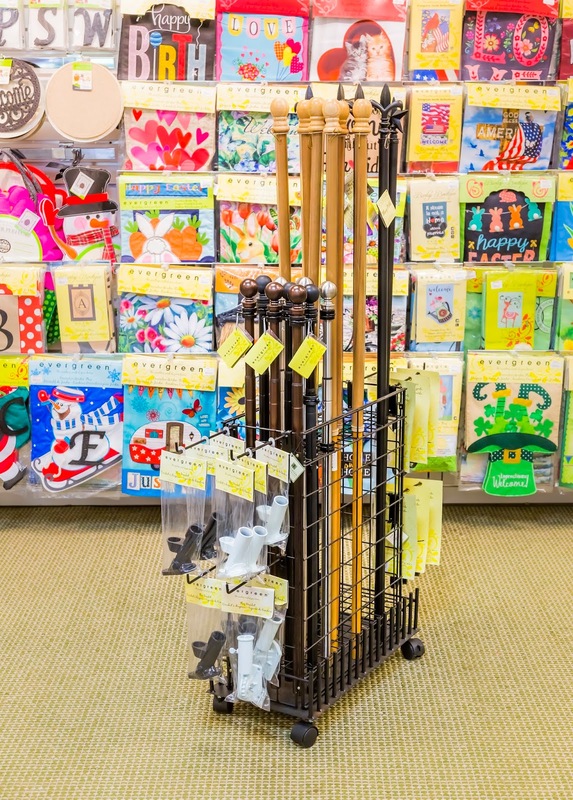 If your store layout doesn’t afford the needed wall space, we also offer multiple other free-standing flag displays. Each of them works within a minimal footprint and many of them include wheels for mobility. Since a strong flag selection helps creates repeat shoppers, make sure you carry all the designs that your customers may be looking for. Many consumers are looking for the latest new designs, so don’t be afraid to try something fresh and new. But don’t just sell what’s new; sell what sells! When you notice designs that become popular—and stay popular—maintain your inventory with an easy reorder from our website. like you would on a porch! Evergreen Flags are known as the top in the industry for their quality, and you really notice this when you’re able to see and handle our flags in person. To help your shoppers experience the Evergreen difference first hand, try setting up some flags out of the package to show off the various textures and embellishments. Along these lines, we think it’s important for anyone who sells flags to fly them! We’ve seen that retailers who fly flags outside their store—or prominently inside their store—will consistently have the best sell-through. Hanging flags up high where they can be easily seen is a great way to call attention to the fact that you offer them in your store. If you’re unsure about how to implement any of these best practices in flag merchandising, talk with your local Evergreen territory manager. Think of them as not just a sales rep, but a knowledgeable consultant who can work with you to recommend and install a solution that will meet your needs and accomplish your sales goals. You can find your territory manager’s contact info on our website when you login to your account. For over 25 years, we’ve been building partnerships in the flag business to bring the best product quality and sales margins to local retailers. We continue to work toward helping independent retailers succeed, and we do this with new products that capture what the end consumer is looking for that will create more continued rings at their register.